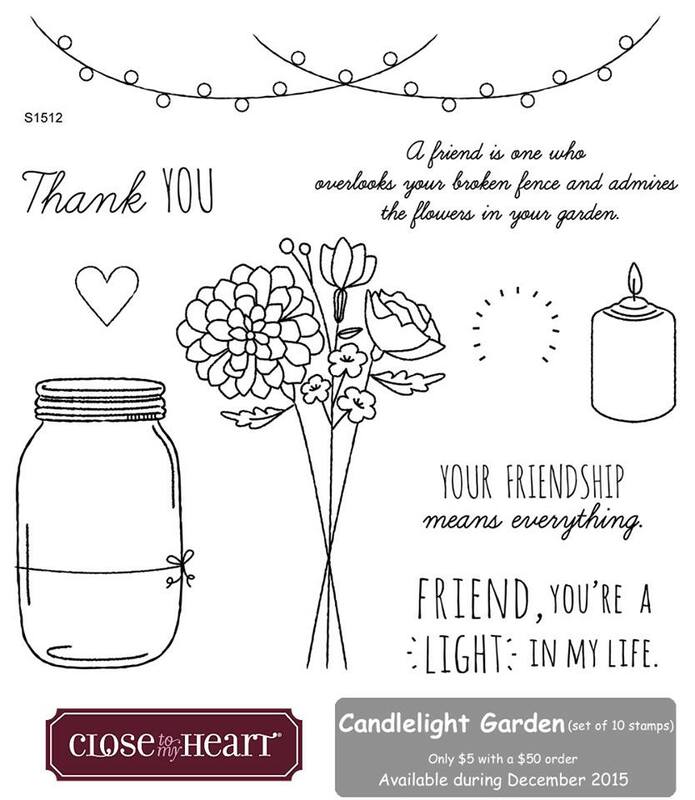 Fortunate to have time to make some cards tonight. 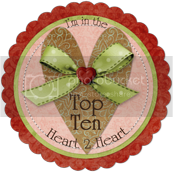 This one using the Atlantic Hearts Sketch #138. It's almost time for the 10 day countdown to be here ... wow! For me though, the closer we get to Christmas, the calmer it gets. This week should be the last of the chaos at work and then we'll go into "holiday" mode for a couple weeks which will be really nice! 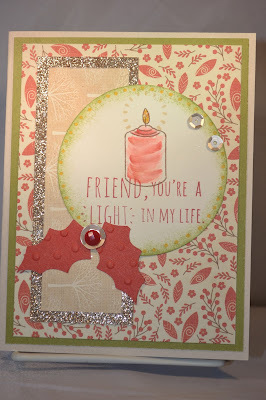 This weekend I got to play along with the Color My Heart Color Dare #172 and I used the sketch at Atlantic Hearts #137. I hope your holiday countdown is getting you to a Peaceful and Fun Holiday with Family and Friends! December and it's the best time to get out those stamps and get busy .... 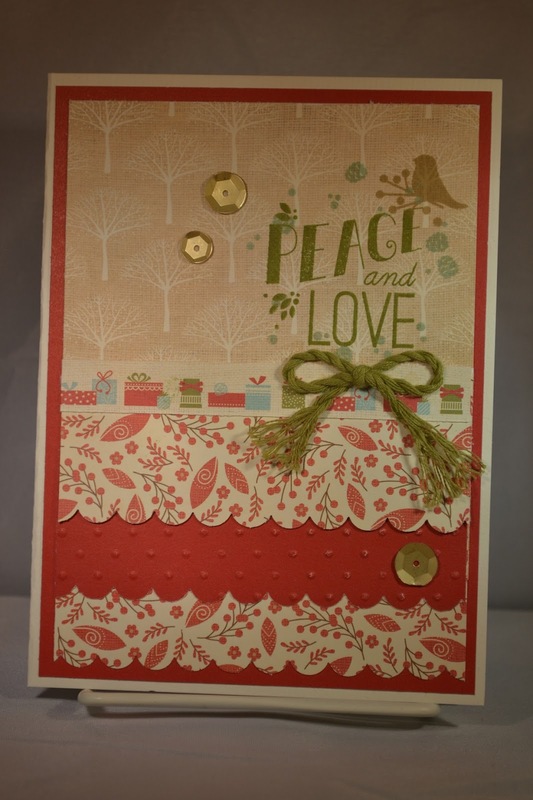 WELCOME to our December Technique SOTM Blog Hop! 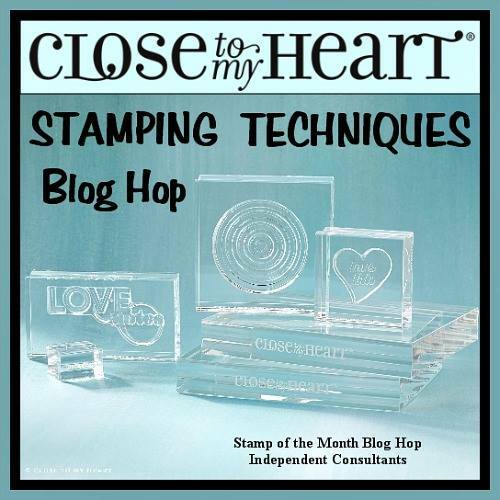 No surprise here, we're talking Stamping! That's right, it's such a great season to stamp! If you just came from Darlys' Blog, you hopping along on the right path. I'm sure you'll see lots of fun stamping projects. 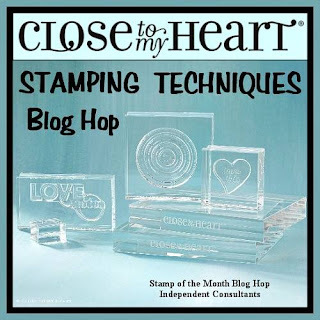 CTMH has such great stamps especially for Holidays. 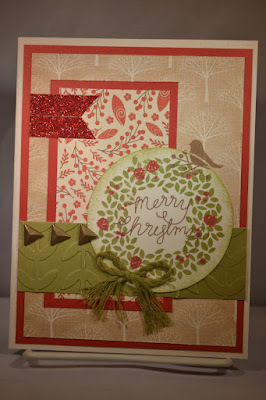 I think Christmas is my favorite time to stamp and make cards. 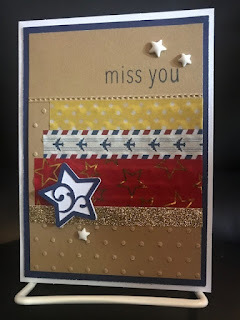 Of course, I love to add stamps as embellishments for my pages as well. 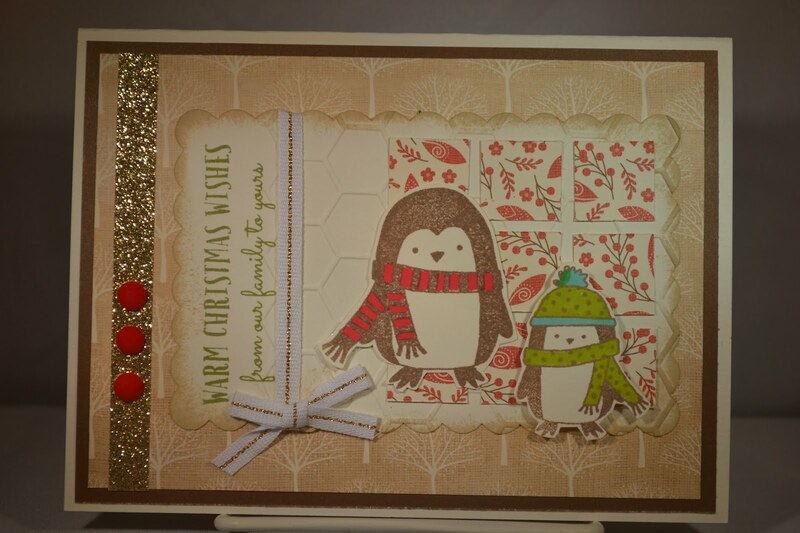 I've made my Christmas cards now for years, even before I was with CTMH. It is a strange thought to me not to stamp my cards. This year I also made some extras since I plan to go to CTMH Convention and it's always fun to have extra cards for swapping. Here's my card. I used a Sweet Sunday Sketch. 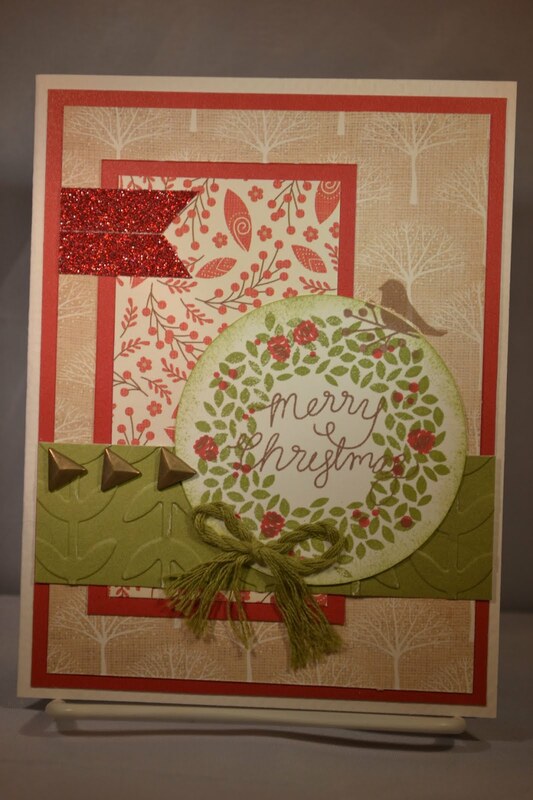 I stamped the wreath, added red and another layer with another stamps. I then inked the edges of the circle to make it a little softer around the edges. 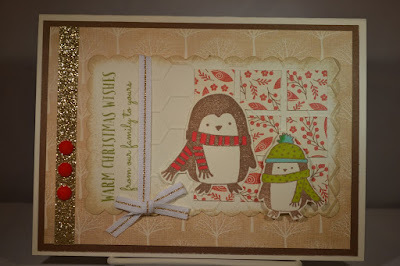 I added the bird once the card was completed as it needed a little chocolate color. 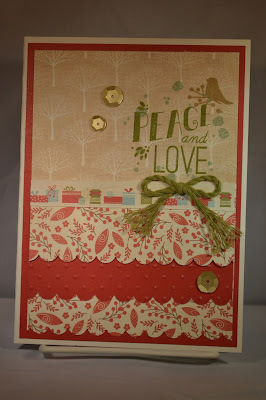 That's what's great about Stamping, it's always easy to add "pops" of color. Thanks for stopping by, the next stop is Gina's Blog. 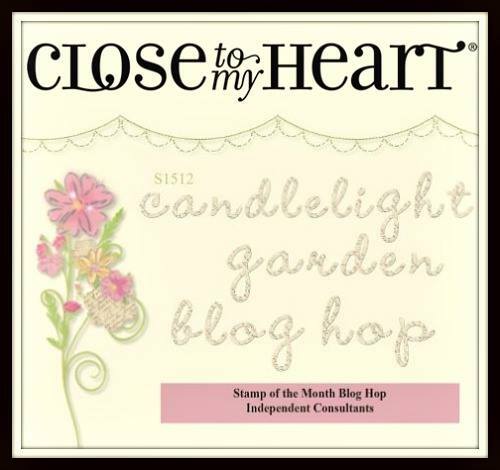 If by any chance you get lost along the way in the Hop, stop by Melinda's Blog which has the list. 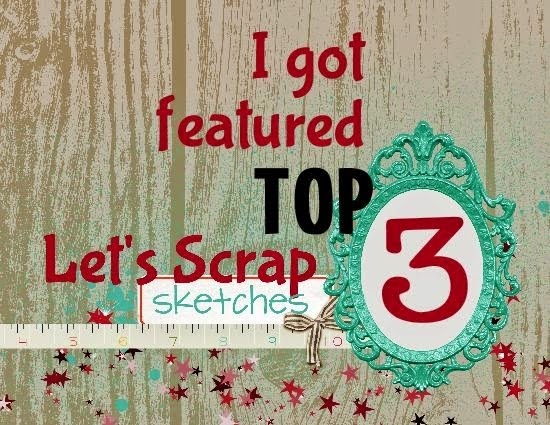 and it's time for our SOTM Blog Hop! 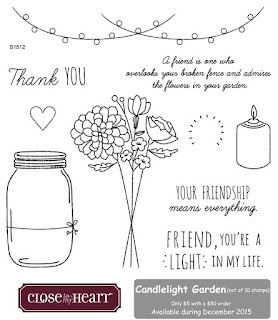 This month we're featuring Candlelight Garden. Such a pretty set for some fun cards! If you're hopping along with us, you just came from Jean's Blog. I hope you have fun hopping along to see all the of the rest of the great ideas with this set! 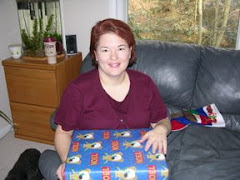 Your next stop on the Hop is Lori Brown's Blog. 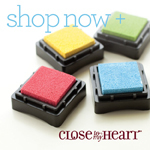 If you get lost, be sure to check out Melinda's Blog for the entire list of hoppers.